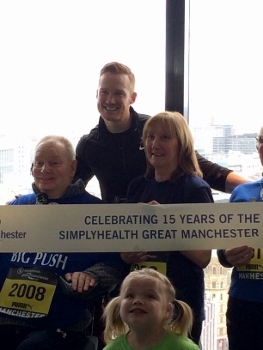 I was very fortunate to be invited along to the launch event and media interviews for the 15th Great Manchester Run in March 2017. 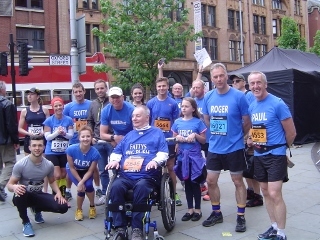 The team at Great Run have been amazing over the years in making it possible for The Big Push to be part of the event. Getting into Manchester city centre by 10.45, getting the van parked (without leaving it somewhere liable to get towed away, or a parking ticket) was quite a feat. 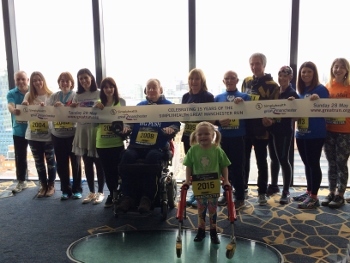 But at the allotted time, we had met up with one of my university buddies Pete "Slimey" and arrived at the 23rd floor of the Hilton hotel, the Beetham Tower on Deansgate, just by the finishing line for The Great Run. 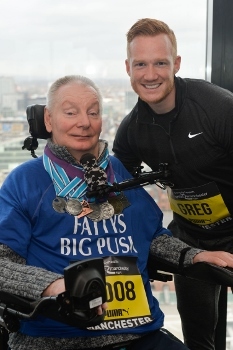 The TV cameras and media were already there, along with many old faces from the organisers, and Olympic 2012 long jump champion, Greg Rutherford was the special guest. 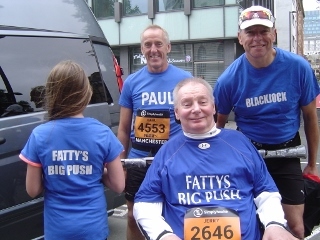 Fatty was quickly decked out in his Big Push shirt, and finishers medals from previous years, along with a special race number 2008. There was a crowd of people to represent every past year of the event. Loads of pictures were taken with a great big banner, and everyone lined up in the order of years from the very start. Conveniently, this meant that Fatty was just about dead centre, where he could hog the limelight, and of course get his fat face in all the pictures! He also managed to feature on the TV news that evening, and get a half page in the local paper as well as the Manchester evening News. He was also seen chatting with Greg (probably boring the pants off him) for quite awhile. – Greg very patiently stayed around to have photos taken with pretty much everyone. 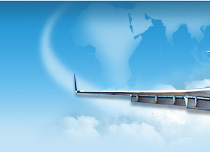 So the stage is now set for "Big Push 9" – time to get into training. This year the team have decided to split our fundraising between 2 charities, both very close to home. 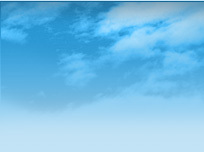 Aspire is a charity dedicated to helping those with spinal cord injury live as independently as possible, if necessary with the aid of assistive technology. They provided me with huge support so that I can access my computer, the Internet etc without any assistance from my PA/carer. http://www.aspire.org.uk/ I have been invited to be after-dinner speaker for Aspire at their sports quiz dinner in London this year, having previously been to the one in Manchester a couple of years ago. Time spent by The Engineering Department preparing the "Superlegerra" wheelchair for BP8 really proved its worth. All that was really required this year was careful checking of the setup. Tyre pressures pumped up to maximum (including the "freewheel"), and close attention to tightening all the little fittings attached to the frame. Over two years, apart from losing a little air, very little needed tweaking. A quick check that the pushing bar had survived, the pipe insulation was in the correct places, and that we had a bag full of tie wraps and a roll of gaffer tape. Checking and adjusting the tie-down straps to secure the chair in the back of the van, and we were good to go. Terrorist Attack on the Manchester Arena! 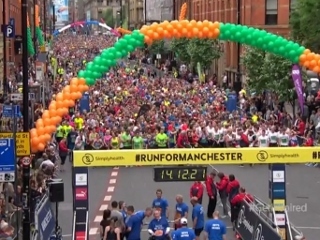 Following the terrorist attack on the Manchester Arena, 22nd of May, the staging of the whole great run and games events looked in serious doubt. The thoughts of the team remain with all the victims, their friends and family have our greatest support and sympathy. It was inevitable that security was going to be hugely enhanced, and that access in the city much more awkward for everyone. 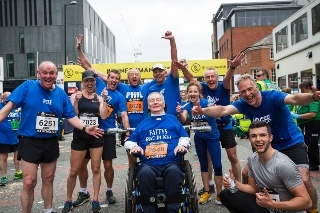 In an interview with the BBC, Brendan Foster and Sir Richard Leese, spoke of how they wanted the whole weekend to take place, and it was a question of how they could make that happen. The previous week Fatty had picked up on his Twitter feed (yes, you heard that right, Fatty is on Twitter!) 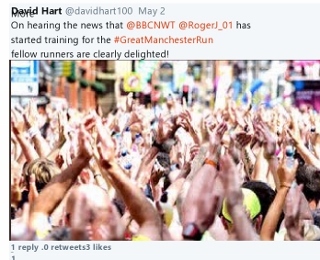 a tweet from David, the communications director at great run. David was simply poking a bit of fun at one of the BBC newsroom presenters who had entered this year's event. What a great opportunity, Fatty had only just done a quick bit of filming with one of the other news team. He suggested it would be a great idea for Roger Johnson to become a Big Push Team member. It was all really rather tongue in cheek, and certainly very cheeky, but a great surprise when the offer was accepted less than 30 min later! Welcome to the team Roger, and all the Johnson family! 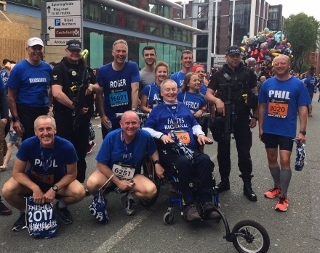 Everyone from the Greater Manchester Police and the Great Run Team that we came across were incredibly helpful as we tried to make our way into the city centre and get ready for the start. Because the half marathon was taking place early in the morning, road closures also got going quite early. Along with the enhanced security this was going to give the guys a spot of bother getting to our usual parking bay to set up The Big Push Team Pits. Fatty found it impossible to accept the advice of The Big Push Big Van Driver (daughter Rachel) and insisted we keep trying all kinds of different ways to get into town. The conversation in the van got fairly repetitive – "Fatty the roads are closed you won't be able to park there" – followed by Fatty saying "try going here and asking" – followed by "I told you so". After three or four attempts, and some reluctant chitchat with event marshals, things were not looking too good. But this was The Big Push, and we can always "blag" something. So by driving a fair way out of the way around the back of Manchester, we ended up close to Albert Square and yet another roadblock of bollards and an event marshal wearing the inevitable high visibility jacket! There was no evidence of him having a radio, so little chance that he could seek guidance from higher authority. So we politely explained where we wanted to get to, and he said that was at the end of the road. We tried to very politely point out that we knew that, which was why we were there in the first place! He didn't seem to notice the sarcasm! However, he did move his bollards out of the way, and told us to just drive down the one-way Street the wrong way, as the other end was also blocked off this would be perfectly safe. I think Rachel was a little put off by some of the crowd in Manchester politely pointing out that we were driving the wrong way down a one-way street, some pointed this out rather less politely. There must have been great temptation to simply give them the finger out of the window, rather than trying to say "yes we know." After a few hundred metres we were at the other end of the road, which was indeed blocked off. What we hadn't anticipated, and what certainly hadn't been explained by the event marshal, was that our route was blocked off by about 20 policeman, all armed with semiautomatic weapons! There was a certain amount of gulping and swallowing noises inside the van, whilst we waited for the gunfire to start. How on earth would the body shop repair all the ensuing bullet holes? The first one to approach the van wisely chose the passenger side, and spoke with Scotty. He also pointed out that it was a one-way street and we were going the wrong way. Resisting the urge for any smartarse or sarcastic comments, by now someone should have put gaffer tape over Fatty's mouth, Scotty politely said we were following the advice of the event marshal, and we were trying to get to the Midland Hotel. The armed policemen very kindly pointed over his shoulder that it was "over there". Thereafter, it was like the parting of The Dead Sea, as the policeman all moved out of the way, effectively providing us with a guard of honour (entirely suitable in the circumstances) and 10 seconds later we were parked 30m from the Midland Hotel – perfect! We quickly made contact with the other team members who were arriving independently, and before long instead of being surrounded by armed police, we were surrounded by Fatty's Big Push blue shirts. Fatty was unloaded in no time and the final preparations to the chair completed, a couple of extra tie-wraps added to the bar, with a couple of turns of extra gaffer tape. New team members were introduced, (fairly easy as nearly everyone had their name on their shirt) refreshments and energy drinks all taken. As it was well past lunchtime, Fatty keen not to miss an eating and drinking opportunity, decided a pre-race beer was in order. 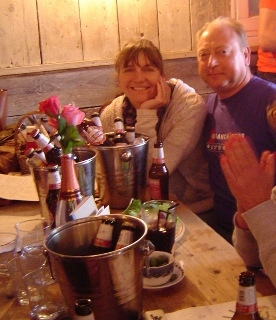 Aided and abetted by Jonny and Sheila – Hardly elite runner preparation, but it seemed a good idea at the time. There must be some rules about street-side drinking in the middle of town, as Jonny, Sheila and Fatty were soon surrounded by the police again, and Fatty felt the long arm of the law on his shoulder. 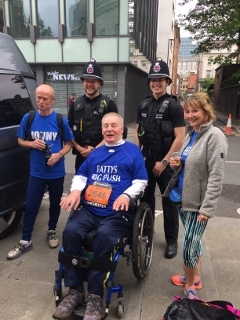 They were offered a quick bribe of a beer (politely refused – being on duty etc) soft drink, snacks, bananas, energy bars, water, but they all said that they'd never been offered so much food and drink on a shift before. They were more than happy to pose for photos with the team, and wished us all well for the run. 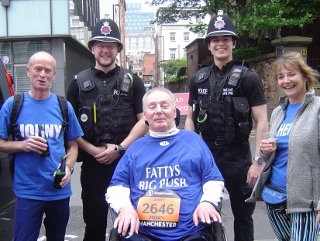 Their stoicism, positivity, and good humour were typical of every one of the force the team met – simply outstanding! We were also struggling a bit this year with injuries to many of the Big Push Stalwarts, most notably, Jonny (hence the pre-run beers) veteran of all 8 previous pushes, who had torn his Achilles. Ian and Vanessa were late withdrawals as was Pat, who was unable to sneak off work. Simmo was also injured, but it was great to see Clare again, (even if she had forgotten her shirt) and Alex who now lives in Jonny's basement (I guess there's a story there somewhere?) brought along her partner Luke who would provide some new young horsepower in Jonny's place. We even managed to recruit a new team member whilst we were at the van just getting ready, I hope you enjoyed it Hannah? 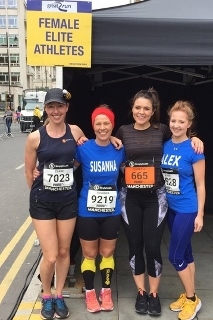 Having just moved up to near Manchester, Slimey was back for a second Big Push and brought his veteran marathon running partner Susanna with him. 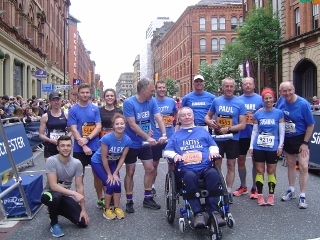 Paul, the fundraising director for Aspire, was keen to see what all this "Big Push Fuss " was all about, so came to Manchester for the day before then heading off to South Africa to do the "Comrades" Trail – a gruelling ultra-marathon (clearly the man is bonkers?!) We were grateful to one of the staff at the Royal Military Academy Sandhurst for allowing Will weekend leave so that he could take part for the fourth time. And, we mustn't forget young Affrica making a second appearance as "Big Push Team Helper." 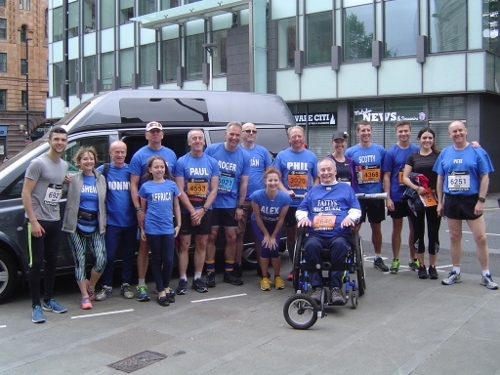 As usual, I'm greatly indebted to Brendan, Nicola, Nigel, Jamie and all the team at Great Run who have made our arrangements so easy, painless, (for Fatty anyway) and straightforward. It was time to make our way to the VIP Start Line and Enclosure (of course). 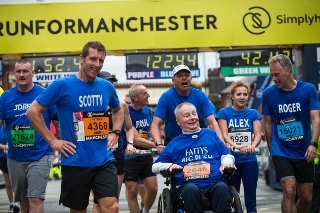 All the locations of the charity village stands had moved from Manchester central down to Albert Square, it was fairly quiet until we turned the corner down another blocked off road to where the open top bus is parked by the start line. Once there, it was anything but quiet. The crowds were huge, incredibly noisy and enthusiastic. Manchester was definitely showing its character after the horrendous week the town had been through. It was great to see all the familiar faces, and that it was pretty much "business as usual." We had already conducted our team briefing, - "let`s keep an easy pace, and stay together" - in previous years this has largely been completely ignored! But for 2017 we wanted to show real team solidarity. Fatty's inevitable interviews were completed, he was unusually politically correct, and we were ready for BP9 to be underway. It was disappointing that Greg Rutherford didn't join the team, despite some serious banter at the launch event, I guess he was still looking for a children's sandpit to go and play in? The tried and tested method of getting The Big Push underway in one of the gaps between waves would prove as invaluable as ever. 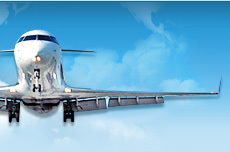 It really does enable the team to get going, settle into a rhythm, and avoid collateral damage to other participants. We even managed to avoid some of the potholes and manhole covers going at a slightly more modest pace than in previous years. It was incredibly noisy over the first 750m or so, then, there is a slightly quiet bit before the first of the charity stand buses comes into view. Crowds were bigger than ever, particularly raucous when there was any music being played and they really spurred the team on. After about 1 1/2 km the outbound route along the Chester Road is dual carriageway with some of the runners from the previous wave heading in the opposite direction. 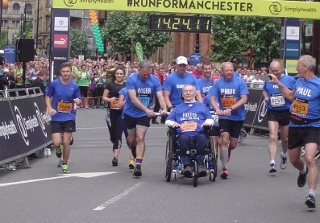 The shouts of encouragement from everyone were really great, Manchester was out in force. Spectators were on both sides of the road, and all the way down the central reservation. Steady pacesetting meant that the team really were staying together this year, and I guess that helped the spectators pick out the mass of blue shirts. Going at a slightly easier pace than the last few years, it was even possible to pick out friendly faces in the crowds. The "Superlegerra" really was coming into its own, a steady team of three doing the pushing, and the chair riding along beautifully. The funny old football ground (Old Trafford I think it was) passed quickly by on the left-hand side, the aqua-pura water station was successfully negotiated, I did notice one of them diving for cover, they obviously have a good memory from previous years! Conditions this year meant that the drive-through shower/car/wheelchair wash was unnecessary, although I think by now a few of the team would quite happily have left Fatty in there. In no time at all, we were back up on the Chester Road and heading for home. Traffic was building quite steadily now on the course, most of whom we carefully negotiated. It's a fact of the times, everyone runs with earphones in and music playing, making them pretty much oblivious to shouts of "move out of the way" etc. A gentle shove usually had the desired result, and the team swept serenely past. The crowds of spectators were really building up at the sides of the course, reaching a peak in the last 500m or so. 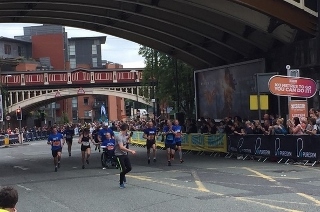 As we started to go up the gentle hill towards the railway arches and the bottom of Deansgate the noise was simply phenomenal. The pushers were instantly spurred on, and the speed increased as we took the faster outside line which was significantly more clear of obstacles. As the "Superlegerra" chair went over the timing mats on the finishing line we got "big air", lucky we had pumped up the tyres as we came crashing back down to Earth. One of Roger's colleagues did a quick interview with Fatty, but it must have been left on the cutting room floor. No matter, the team were all together for some photos, goody bags (sadly no T-shirts left big enough for Fatty!) and our friends the armed police were still there. When we got back to the pits, the cold beers were very welcome, and quickly demolished so we could head off for a late lunch. The team were in such a hurry to get to the pub they missed the ramped access down into Spinning Fields, amazingly they just picked Fatty up and carried him down a flight of stairs – brave guys! – Leaving Fatty behind at this stage would be a serious own goal, as he was expected to pay for lunch! Fatty had already excelled himself by pre-ordering table snacks, beer and wine, and lunch became a fairly raucous affair. The team at The Oast House looked after us really well, the third time we've been, and it was great to have so many friends and family members joining in with the team. I hope the short clip will encourage others to get out, and get on with life. 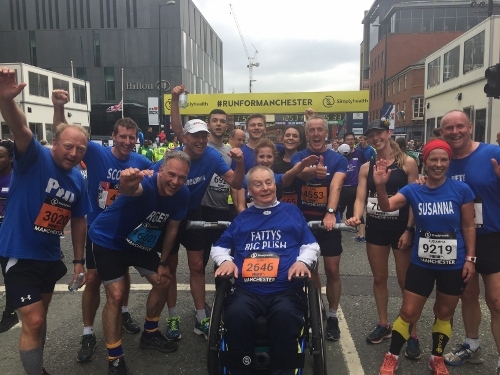 The support for my team, and from my team has been amazing this year, likewise the support around Manchester, it all meant Big Push 9 was memorable for some of the best reasons. 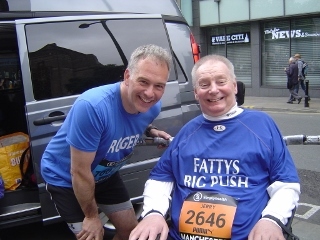 Already planning is in place for Big Push 10. . . !